Well Halloween is here again! 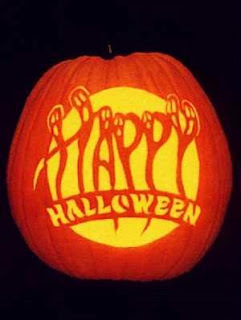 If you're like me and don't really like trick or treating, and would much rather be in the warmth of your home (let's face it, it's freezing right now!) reading a good, chilling book, then these are my ultimate recommendations to make your Halloween 2010 a spooky, chilling spectacle! "Nathan knows something is watching him - something menacing and dangerous. Something without a shape, that he can't get out of his head. The Creature. Then there are the noises he starts hearing in the attic. Shuffling. Scratching. Even a voice. The Bogeyman. Nathan's sure that the Creature and the Bogeyman are the same thing. Whatever it is, it's after him. As soon as it's strong enough, it will show Nathan what it really wants. And it's growing stronger all the time . 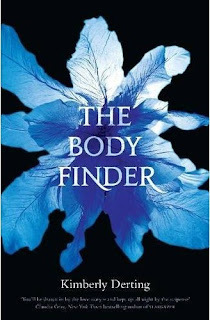 . ."
An excellent, unsettling psychological thriller that I loved! You can check out my full review here. "The first in a terrifying trilogy, read on if you dare: Jake could now see the demon fully. Its body was a mass of steely sinew, its arms roped with muscle. Six fingers sprouted from its hands, each ending in lethal talons. The thing did not possess a nose; instead a large hole, bubbling with green mucus, occupied the middle of its face. 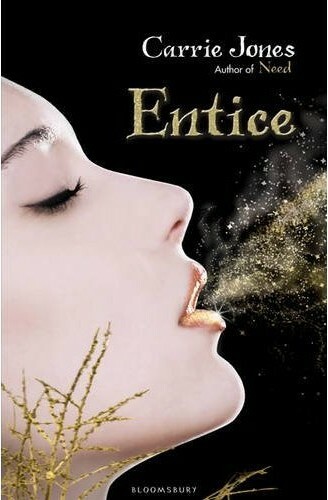 Mr Pinch's tongue flickered between his teeth and slurped across his fat lips. He was hungry. When a violent storm rages around the little village of Hobarron's Hollow, a young boy is sacrificed 'for the greater good'. 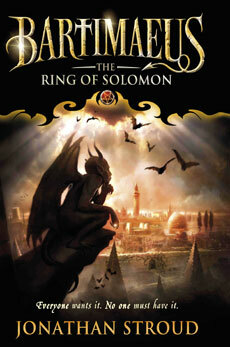 His blood is used to seal a mystical doorway and prevent an apocalyptic disaster known only as the Demontide. Twenty-five years later, another boy, Jake Harker, is about to be drawn into the nightmare of the Demontide. 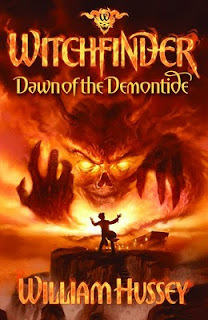 Witches and their demon familiars stalk his every move, and his dreams are plagued by visions of a 17th Century figure known only as the Witchfinder. When his father is abducted, Jake must face the terrible secrets kept by those closest to him and a shocking truth that will change his life forever . . ."
An absolute beast of a book that is not to be missed! Check out my full review here. "My name is Oscar and I am the perfect teenager. My girlfriend is the hottest girl in school. I get straight As. I am class president. But there is a terrible reason I am so perfect: the Messages. Oscar Banks lives in the pristine town of Candor. Son of the mayor, he is good-looking, smart and popular. And he knows something he's not supposed to - he knows about the brainwashing Messages embedded in the music that plays all over the town. But Oscar has found a way to burn counter-Messages that keep him real. Up to now, it's all worked perfectly. There's just one problem: Nia Silva, the newest Candor arrival. What will Oscar risk to keep the Nia he loves rather than watch her become a Candor automaton? 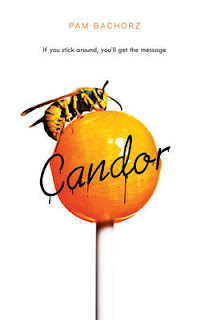 Deeply chilling, "Candor" is a psychological thriller that will haunt readers with its vision of a world controlled by something worse than Big Brother." Candor isn't a particularly scary book, but it's chilling and unsettling and will make a brilliant Halloween read! Full review here. "Following the massive success of the Demonata series, Darren Shan is back where it all started – telling the life story of the vampire Larten Crepsley. Spanning centuries and continents, taking in sea voyages, murder, war and love, this is the epic, bloodsoaked tale of a vampire who started out a nobody… and ended up changing the world forever. When Larten escapes the terrible workhouse in which he toils, he doesn’t know that he is running from an early death… into another kind of transformation. After meeting the mysterious vampire Seba Nile while sheltering for the night in a crypt, Larten finds himself drawn into the shadowy world of the vampire Clan. As he travels and learns, Larten finds himself enjoying the adventure he has always dreamed of, seeing a world beyond any he suspected in his poverty-stricken youth. But Larten begins to discover something else, too. Much like death, becoming a vampire is something you can’t come back from…"
It wouldn't be Halloween without a brand new Darren Shan book to devour! 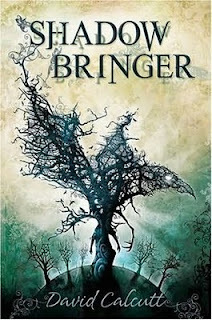 Check out my review here, and make sure you don't miss this brilliant beginning to a new saga! 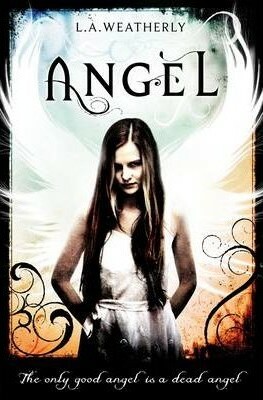 Another brilliant book by Michelle, chilling and scary and just perfect for Halloween (or any cold dark Winter night!) My full review can be read here! Make sure you get it, or you might just have some ghosts to answer to! Published by: Little Brown Books. "J spun. His stomach clenched hard, as though he'd been hit. It was just the neighbour lady, Mercedes. J couldn't muster a hello back, not now; he didn't care that she'd tell his mother he'd been rude. She should know better. Nobody calls me Jeni anymore. J always felt different. He was certain that eventually everyone would understand who he really was: a boy mistakenly born as a girl. Yet as he grew up, his body began to betray him; eventually J stopped praying to wake up a 'real boy' and started covering up his body, keeping himself invisible - from his family, from his friends...from the world. But after being deserted by the best friend he thought would always be by his side, J decides that he's done hiding - it's time to be who he really is. And this time he is determined not to give up, no matter the cost." This book is so new that it doesn't even have a cover yet. But just based on the synopsis it sounds really really good and I for one cannot wait to read it. Going straight on my wishlist! Hello everyone! First off, let me apologies for the relative silence the last week or so. I've been sick with the cold/flu/lergy and haven't really had the time or energy to do much besides lay in bed feeling sorry for myself and reading! Getting better though, and the review list is growing and that needs to be sorted out, so I'm hoping this week won't be so quiet! Anyway, I got some very cool books this weeks, so without further or do, here is this week's In My Postbox! "Violet Ambrose is grappling with two major issues: Jay Heaton and her morbid secret ability. While the sixteen-year-old is confused by her new feelings for her best friend, she is more disturbed by her "power" to sense dead bodies – or at least those that have been murdered. Since she was a little girl, she has felt the echoes the dead leave behind in the world...and the imprints that attach to their killers. Violet has never considered her strange talent to be a gift, but now that a serial killer is terrorizing her small town Violet realizes she might be the only person who can stop him. 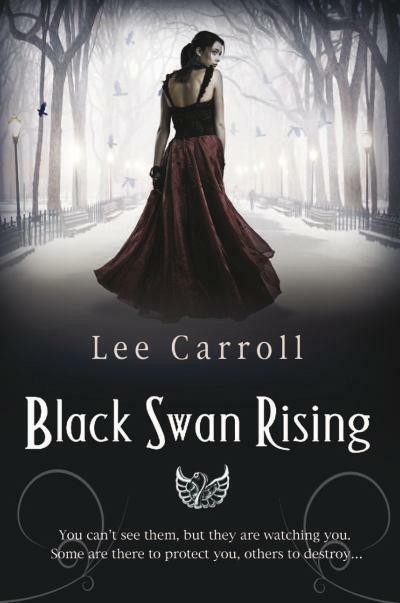 Despite his fierce protectiveness over her, Jay reluctantly agrees to help Violet find the murderer – and Violet is unnerved by her hope that Jay's intentions are much more than friendly. But even as she's falling in love, Violet is getting closer to discovering a killer...and becoming his prey herself." "Zara and Nick are soul-mates - they're meant to be together for ever. But that's not quite how things have worked out. For starters, Nick is dead, and has been taken to Valhalla, a mystical resting place for warriors. If they can find the way there, Zara and her friends will try to get him back. But even if they do, Zara has turned pixie - and now she's Astley's queen! Meanwhile, more teenagers go missing as a group of evil pixies devastates the town of Bedford. An all-out war seems imminent and Zara and her friends need all the warriors they can find..."
"New name, new town, new life. Nastasya has done it too often to count. And there’s no end in sight. Nothing ever really ends . . . when you’re immortal. 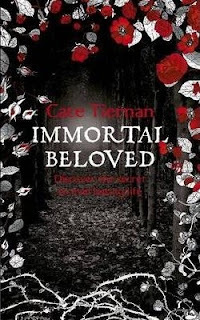 Captivating, intense and with an incredible and original voice, IMMORTAL BELOVED is a haunting story of friendship, love and secrets, tragedy and loss." So there you go! 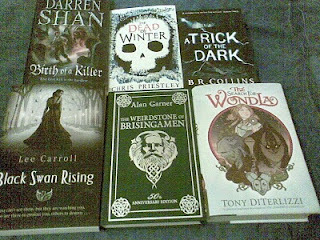 Those are the awesome books I got this week. Big thanks to all the publicists/publishers! I appreciate every book I get sent! Thank you! Hope everyone has a great week! 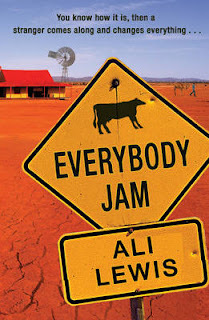 Everybody Jam by Ali Lewis. ‘Everybody jam’ is outback slang for apricot jam – because everybody likes it. But not everything in Danny Dawson’s life is that sweet. Danny Dawson lives in the middle of the Australian outback. His older brother Jonny was killed in an accident last year but no-one ever talks about it. And now it's time for the annual muster. The biggest event of the year on the cattle station, and a time to sort the men from the boys. But this year things will be different: because Jonny's gone and Danny's determined to prove he can fill his brother's shoes; because their fourteen-year-old sister is pregnant; because it's getting hotter and hotter and the rains won't come; because cracks are beginning to show . . . When Danny's mum admits she can't cope, the family hires a housegirl to help out - a wide-eyed English backpacker. She doesn't have a clue what she's let herself in for. And neither do they." *= Please note I'm not that sad to sit and work that out for myself... The Book Depositary did that for me! Official synopsis: "Michael Vyner recalls a terrible story, one that happened to him. One that would be unbelievable if it weren't true! Michael's parents are dead and he imagines that he will stay with the kindly lawyer, executor of his parents' will ...Until he is invited to spend Christmas with his guardian in a large and desolate country house. His arrival on the first night suggests something is not quite right when he sees a woman out in the frozen mists, standing alone in the marshes. But little can prepare him for the solitude of the house itself as he is kept from his guardian and finds himself spending the Christmas holiday wandering the silent corridors of the house seeking distraction. But lonely doesn't mean alone, as Michael soon realises that the house and its grounds harbour many secrets, dead and alive, and Michael is set the task of unravelling some of the darkest secrets of all." The Dead of Winter is a chilling story perfect for the cold, dark nights of Winter, and one that should definitely not be missed. 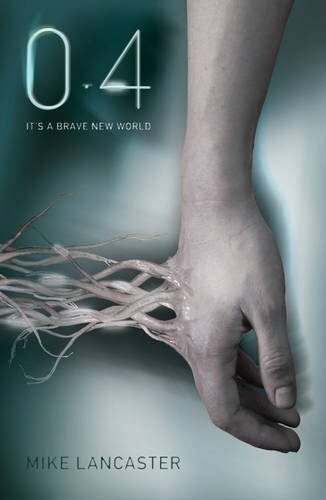 It's a little slow in getting started, but once the mystery of Hawton Mere begins to reveal itself, you are well and truly caught in the books grip. It truly is edge of the seat reading, as the story reveals itself and you try to guess what might happen next. Priestley's writing is brilliant. It's fluid and unstoppable, you just cannot stop reading. Very compelling. What I like about this book is that it chills and terrifies while not being explicit. It's a more traditional scare - flickering lights and scary noises aplenty having more effect than any blood, guts and gore could! No stomach-tuning passages to be found in this book, but they simply aren't needed! 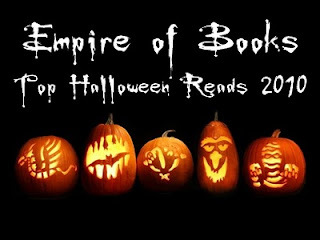 I almost feel that any explicit horror would spoil the overall feel of the book! And another plus, is that you some aspects of the plot aren't initially obvious. It isn't till the end that things click and you realise that it's all been building up. The Dead of Winter is definitely not to be missed. It's perfect for Winter nights, and will have you on the edge of your seat, while gasping with fear, and shivering, all at the same time. A wonderful reading experience! My thanks to Emma at Bloomsbury for my copy! 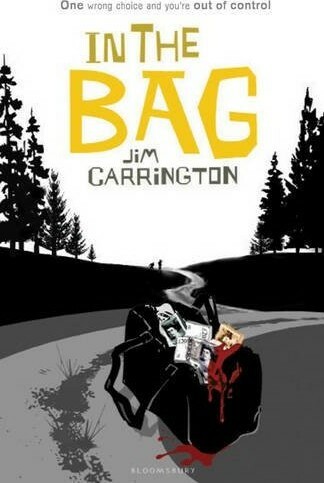 In The Bag by Jim Carrington. "Joe and Ash are best friends. Ash is the leader, Joe the one who follows. Then one night after a party, Joe and Ash come across a holdall, seemingly abandoned by the side of the road. They open it up ...and find GBP20,000 in cash. Of course they're going to hand it straight to the police. Aren't they? Or is all that money just too tempting? 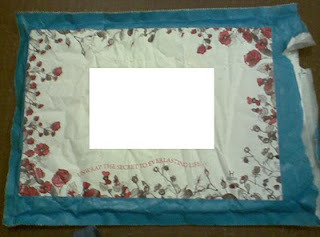 Whoever has lost it won't notice if a bit goes missing, will they? And that is precisely when the trouble starts ...Jim Carrington has already established himself as a fine writer for teens with his debut novel, Inside My Head. With In the Bag, he shows how horribly easy it is for two teenage boys to make a car crash of their lives, through an unlucky combination of being in the wrong place at the wrong time and making a handful of wrong decisions." I loved Jim's last book, In My Head which came out earlier this year and cannot wait to read this! (A review of which, can be found here at The Book Zone for Boys, as a guest post!) It sounds brilliant. I love the cover! I can't wait to see what Jim has in store next! Roll on February! Monday has come around again, which means it's time for another Cover of the Week! 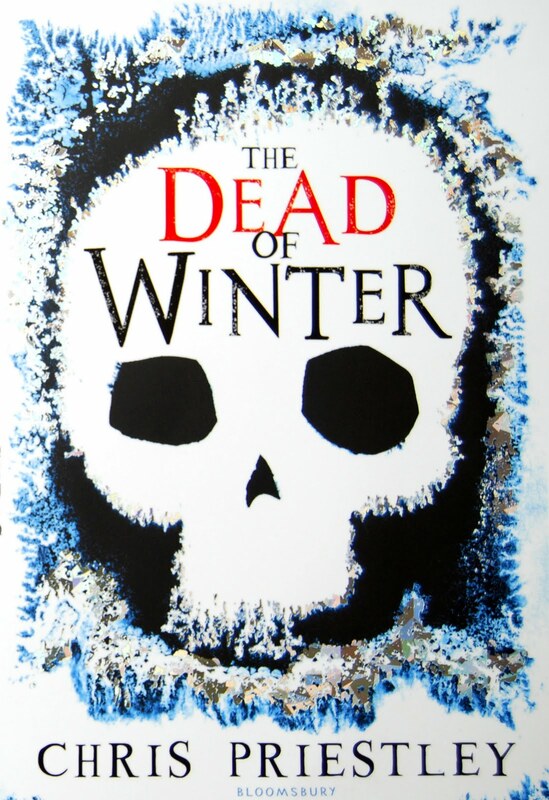 And this week it's the turn of The Dead of Winter by Chris Priestley! I think you'll agree that that is pretty amazing?! A frosted skull. It's textured too so it's even cooler in the flesh. I like the colours used and as well as looking like frost, it kind of has a forest-like feel. The bit at the top kind of looks like snow-covered pine trees! Very cool! And this was actually designed by the author himself. Certainly makes me want to read it! Good morning, afternoon or evening depending on when you are reading this! This week's been pretty good for me. Awesome books plus the fact I got a job! :D So excited! Can't wait to start in November! But back to the books! 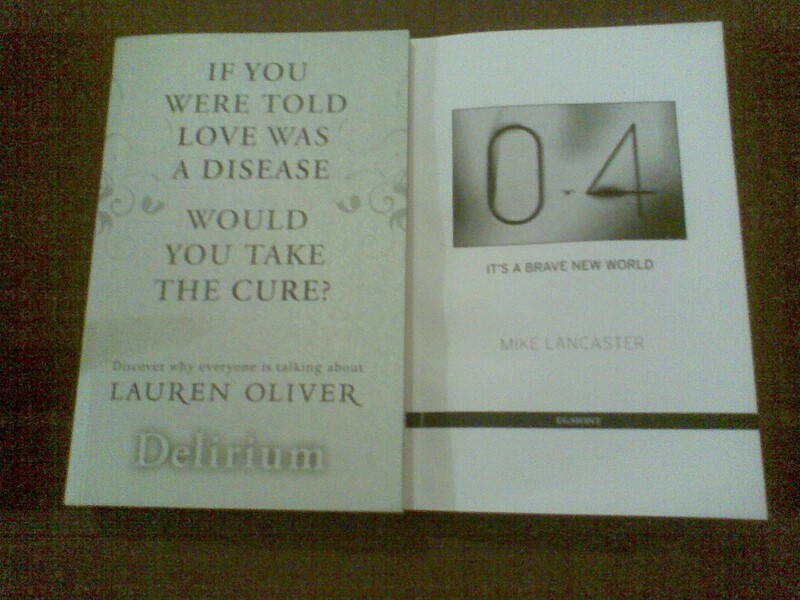 These are the awesome books that came through my letterbox this week! 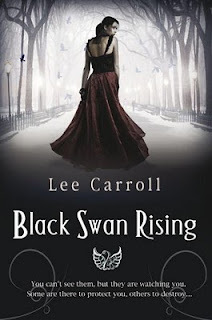 Black Swan Rising by Lee Carroll. "Jeweller Garet James isn't the same as everyone else. She just doesn't know it yet. With her fair share of problems – money (lack of), an elderly father, a struggling business – Garet should be just like any other young, feisty, single New Yorker. If only it was that simple... It begins with the old silver box that had been soldered shut. All Garet has to do is open it. A favour for the frail owner of the antiques shop. Who wouldn’t help? Only it’s then that things start to change. Garet doesn't notice at first, the shifts barely perceptible. But the city in which she grew up is beginning to reveal a long-hidden side – darker, and altogether more dangerous: parallel world of chaos, smoke and blood. And now it’s out of the box...and it has no intention of going back in." This sounds really good! Looking forward to reading it! Thanks to Lynsey at Transworld for this! 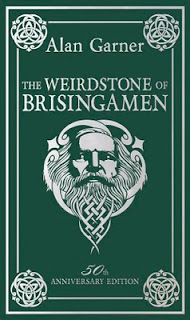 The Weirdstone of Brisingamen: 50th Anniversary Gift Edition by Alan Garner. 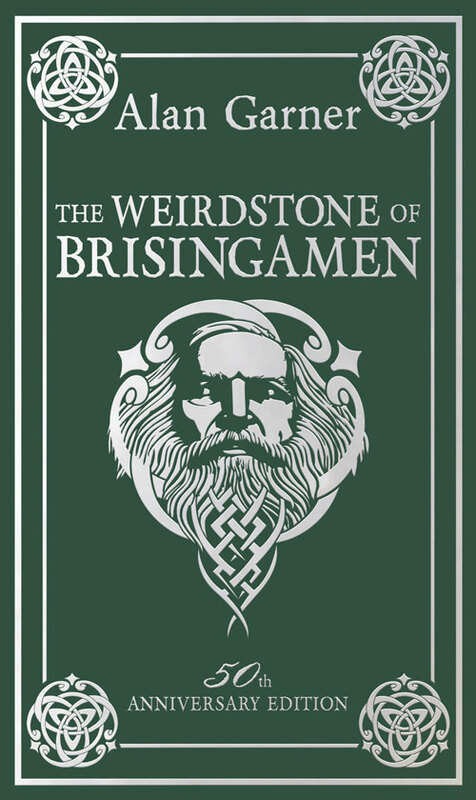 "This lavish hardback edition of The Weirdstone of Brisingamen is published to commemorate the 50th anniversary of Alan Garner's seminal fantasy masterpiece. Featuring a beautiful new design, and a foreword by Alan himself, it is a must-have collector's item for any lover of great children's fiction." This is so cool! It's a beautiful green hardback and all the writing is shiny and silvery. Very cool. Looking forward to reading this! 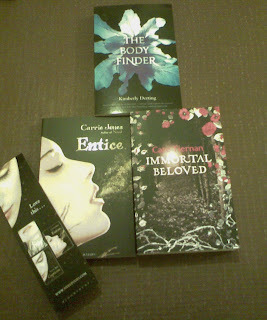 Thanks Harper Collins for this! Birth of a Killer by Darren Shan. 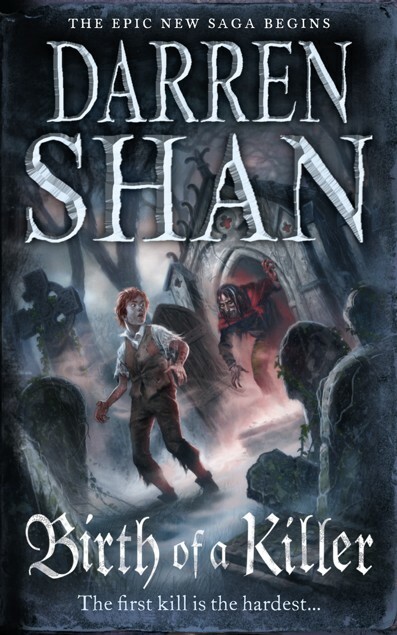 "Following the massive success of the Demonata series, Darren Shan is back where it all started -- telling the life story of the vampire Larten Crepsley. Spanning centuries and continents, taking in sea voyages, murder, war and love, this is the epic, bloodsoaked tale of a vampire who started out a nobody! and ended up changing the world forever. When Larten escapes the terrible workhouse in which he toils, he doesn't know that he is running from an early death! into another kind of transformation. After meeting the mysterious vampire Seba Nile while sheltering for the night in a crypt, Larten finds himself drawn into the shadowy world of the vampire Clan. As he travels and learns, Larten finds himself enjoying the adventure he has always dreamed of, seeing a world beyond any he suspected in his poverty-stricken youth. But Larten begins to discover something else, too. Much like death, becoming a vampire is something you can't come back from!" Finished copy. Loved this book. You can check out my review here. Thanks to Harper Collins for this! 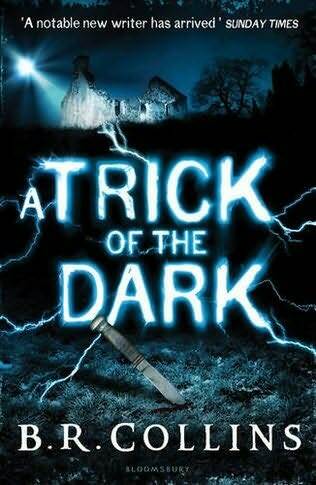 A Trick of the Dark by B. R. Collins. "Zach and his sister Annis have been uprooted by their parents from their comfortable home to a remote and half-built barn in France. Zach is being removed from his 'bad-influence' friends, their parents are trying to salvage their marriage and still remain on speaking terms whilst the bitterness of their father's affair bubbles underneath the surface. And Annis - Annis just keeps going, keeping her head down, trying to keep it together. So far so normal. And then Zach, uncommunicative and contrary as ever these days, defies everything their parents have said and makes his way to the unsafe ruined building at the edge of their new garden, and leans up against the wall. The wall bulges, totters - and suddenly collapses on top of him. Annis, horrified, sees him crumpled on the ground. Desperate, she races towards him, not daring to think anything at all. She sees him, on the ground, broken, silent, not there any more. And then, unbelievably, he moves. Zach moves. Zach, in an extraordinary and instinctive decision, has broken his bond with his own soul, the essence of himself. By doing so he has cheated death. By doing so he has also cheated life. He is unable to touch any human person again. And the essence of himself, his 'other', his soul, is chasing him, determined to rejoin what should rightfully be together. Zach is on the run, from himself, whom he can never escape, from death, but also from the life that he can never enjoy again. Perhaps only a sister can help him now." I am very much looking forward to reading this. It sounds and looks absolutely brilliant! Thanks to Emma at Bloomsbury for this! The Dead of Winter by Chris Priestley. "Michael Vyner recalls a terrible story, one that happened to him. One that would be unbelievable if it weren't true! Michael's parents are dead and he imagines that he will stay with the kindly lawyer, executor of his parents' will ...Until he is invited to spend Christmas with his guardian in a large and desolate country house. His arrival on the first night suggests something is not quite right when he sees a woman out in the frozen mists, standing alone in the marshes. But little can prepare him for the solitude of the house itself as he is kept from his guardian and finds himself spending the Christmas holiday wandering the silent corridors of the house seeking distraction. But lonely doesn't mean alone, as Michael soon realises that the house and its grounds harbour many secrets, dead and alive, and Michael is set the task of unravelling some of the darkest secrets of all. 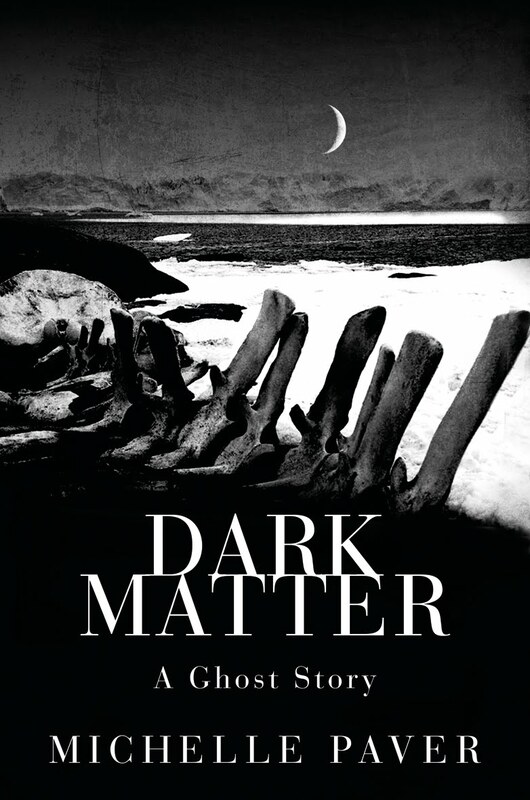 This is a nail-biting story of hauntings and terror by the master of the genre, Chris Priestley." I actually cannot wait to read this. It looks amazing. The cover is brilliant, as you can see! And as odd as it sounds, it feels really cool too! It's all rough like frost. Very cool! 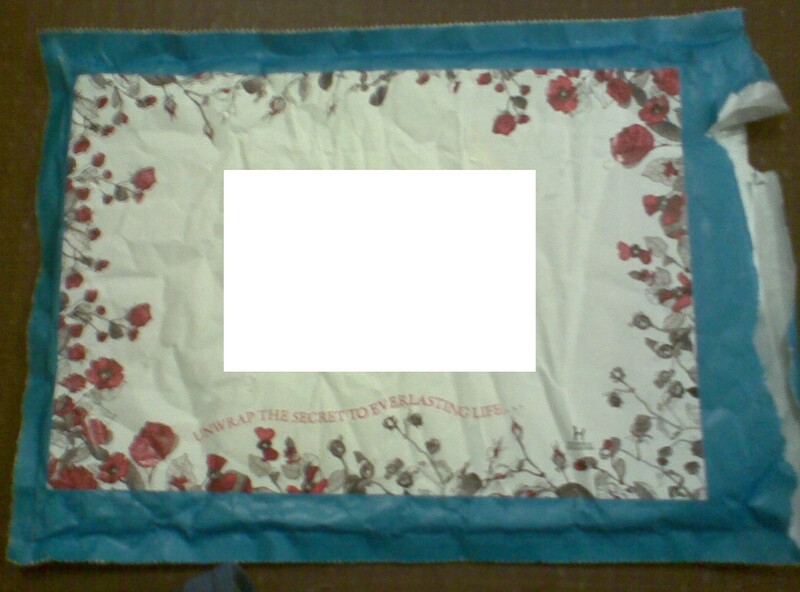 Thanks, again, to Emma at Bloomsbury for this! "Eva Nine was raised by the robot Muthr. But when a marauder destroys the underground sanctuary she called home, twelve-year-old Eva is forced to flee aboveground. Eva Nine is searching for anyone else like her. She knows that other humans exist because of a very special item she treasures ~ a scrap of cardboard on which is depicted a young girl, an adult, and a robot along with the strange word "WondLa". Tony DiTerlizzi honours traditional children's literature in this totally original space age adventure: one that is as complex as an alien planet, but as simple as a child's wish for a place to belong." 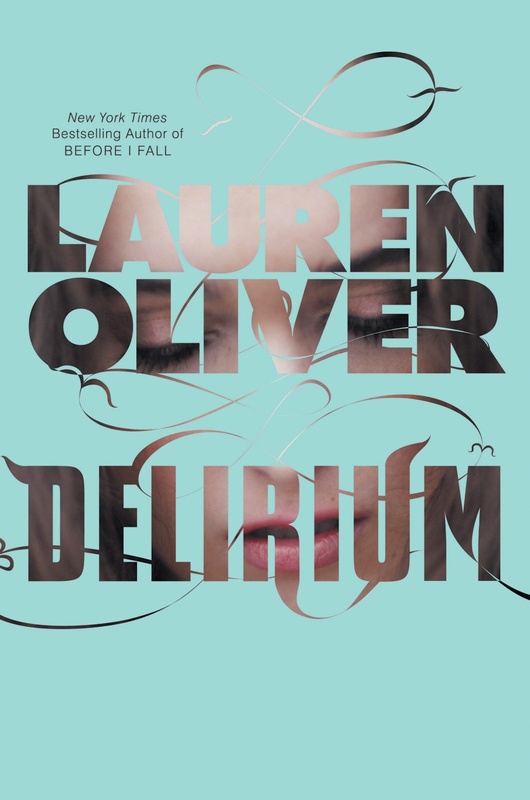 This is another book I cannot wait to read. It looks and sounds so rich! The design is incredible! So many illustrations. Thanks to Catherine at S&S! So there you go! That's what I got this week. What did you get? Have a good week, everyone!